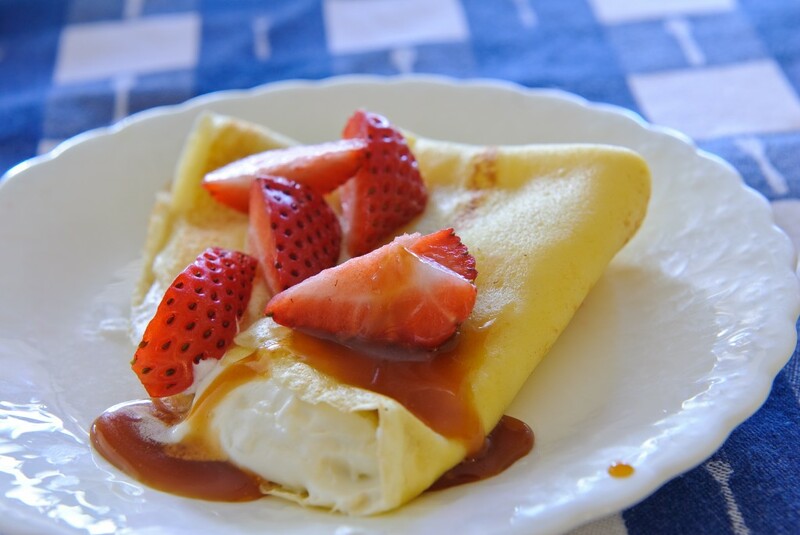 In summer, my Strawberry-Mascarpone Crêpes is my all-time favorite way to serve crêpes. And if you’ve never tried strawberries and caramel together, you’re in for a foodie epiphany! Find the recipe here. It’s also in The Bonne Femme Cookbook. In winter, you can’t beat my Crêpes Belle Hélène (page 357 of The Bonne Femme Cookbook). 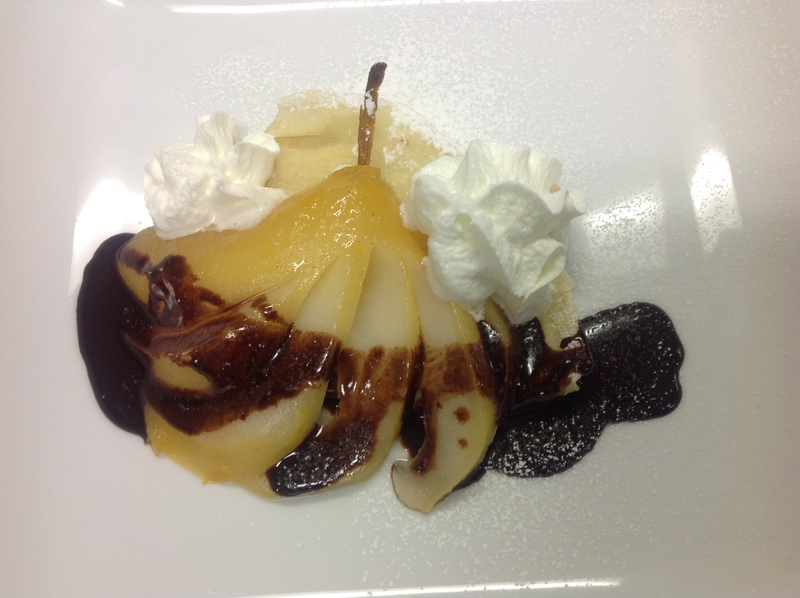 Yes, there’s a crepe buried under that beautiful poached pear! Recipe from The Bonne Femme Cookbook: Simple, Splendid Food That French Women Cook Every Day. • Butter and Sugar. This is the simplest way, and perfect for after-school or tea-time snacks. Drizzle the folded crêpe with a little melted butter and sprinkle it with sugar and, if you like a little cinnamon. • Nutella. Slather the crêpe with some of this much-loved chocolate-hazelnut spread, then fold. Top with bananas, if you like. • Chocolate-Almond. Fold the crêpe and drizzle with chocolate sauce. Top with whipped cream and toasted sliced almonds. • Pineapple-Caramel. Warm some caramel sauce and pineapple chunks together; fold the crêpe, then top with the sauce, a scoop of vanilla ice cream, and chopped toasted macadamia nuts. • Strawberry-Orange. Fold the crêpes; sprinkle with Grand Marnier or other orange liqueur. Top with sweetened fresh strawberries and whipped cream. • Fôret Noire (Black Forest). Fold crêpe and sprinkle cherry liqueur or brandy. Top with sweetened fresh cherries, chocolate sauce, whipped cream, and chocolate shavings. And if you like this post, you’ll enjoy my cookbook, The Bonne Femme Cookbook: Simple, Splendid Food That French Women Cook Every Day. Click on the link below for more information—and if you buy through clicking on this link, you’ll help support this website, without adding one cent to the cost. Thanks for your consideration!